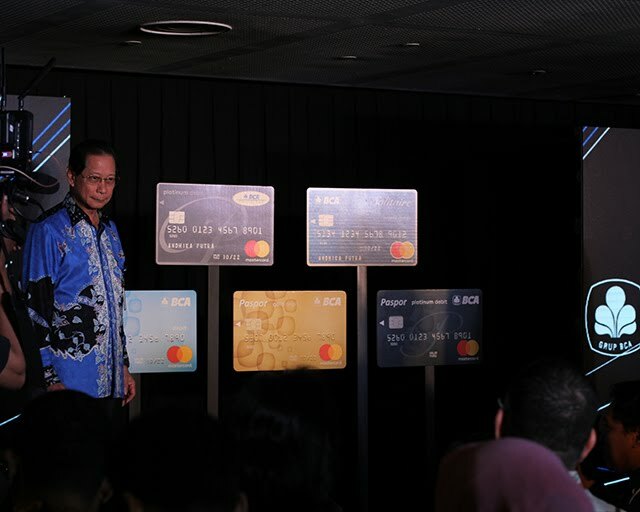 Pekan lalu, tepatnya pada hari Selasa, 21 November 2017 - PT Bank Central Asia (BCA) Tbk berkolaborasi dengan MasterCard, meluncurkan kartu Paspor BCA MasterCard untuk semua jenis kartu, termasuk diantaranya kartu Blue, Gold, Platinum, Prioritas, dan Solitaire, dalam rangka memperluas jaringan dan pelayanan demi memberikan kenyamanan dan keamanan bagi nasabah dalam melakukan transaksi. Acara yang berlokasi di Menara BCA pada siang hari itu dihadiri oleh - Presiden Direktur BCA Jahja Setiaatmadja, Direktur BCA Suwignyo Budiman, Direktur BCA Subur Tan, Direktur BCA Santoso. 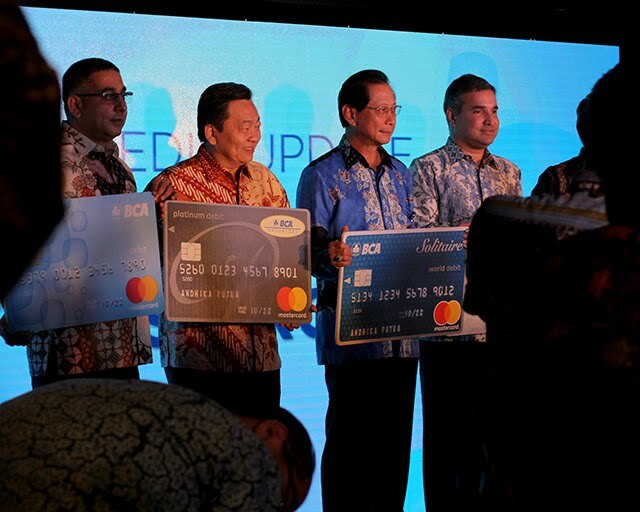 Dan dari Pihak MasterCard yaitu Co-President Asia Pacific MasterCard Ari Sarker, Division President MasterCard Indonesia, Malaysia dan Brunei Safdar Khan, dan Direktur PT MasterCard Indonesia Tommy Singgih. 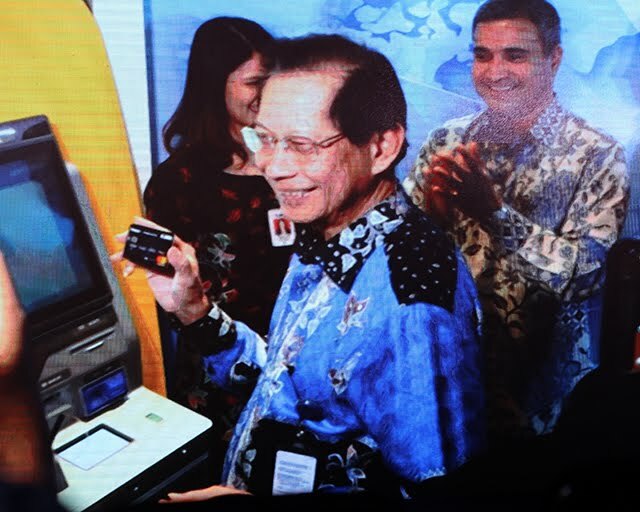 Presiden Direktur BCA Jahja Setiaatmadja mengungkapkan, peluncuran kartu Paspor BCA MasterCard merupakan upaya BCA memberikan pelayanan terbaik bagi nasabah. Dengan melakukan pergantian kartu debit yang saat ini digunakan dengan kartu Paspor BCA MasterCard, nasabah dapat mengakses lebih dari 40 juta merchant dan terkoneksi dengan jaringan MasterCard di 210 negara di seluruh dunia. 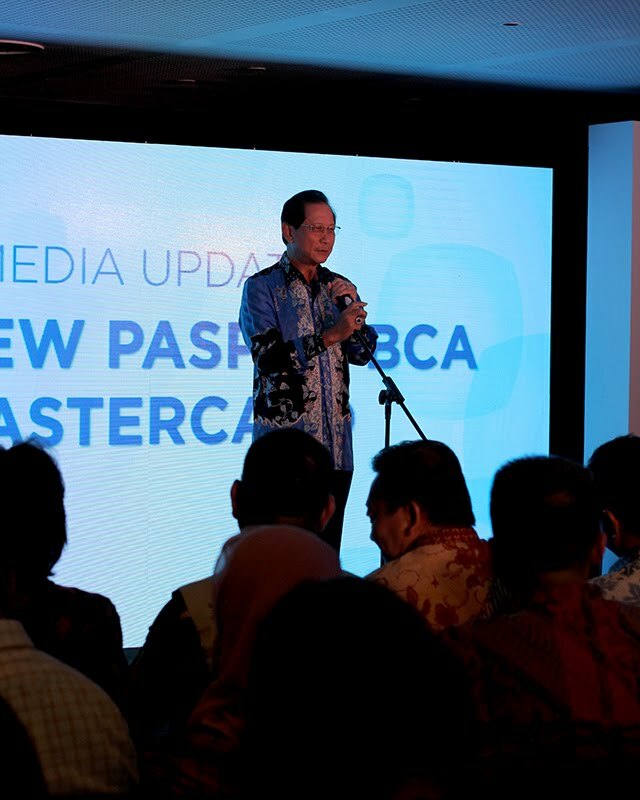 "BCA ingin memberikan nasabah kemudahan tanpa batas dengan menggandeng MasterCard yang telah memiliki jaringan luas dan terpercaya untuk melakukan transaksi kapan saja dan di mana saja. Kami berharap bahwa dengan peningkatan jangkauan ini, selain nasabah tetap dapat melakukan tarik tunai di luar negeri sebagaimana sebelumnya, dengan kartu ini, dapat memberikan kemudahan dan kenyamanan nasabah untuk melakukan transaksi belanja baik di dalam maupun luar negeri," - ujar Jahja. Safdar Khan, Division President MasterCard Indonesia, Malaysia dan Brunei, mengatakan - "Kami mengucapkan selamat kepada BCA atas peluncuran Paspor BCA MasterCard, yang dimaksudkan untuk memberikan nilai dan keuntungan optimal kepada para pengguna kartu di seluruh Indonesia. Seiring dengan Indonesia yang tengah bergerak menuju ekonomi digital, menyediakan akses akan solusi pembayaran secara online, offline dan platform lintas batas yang mulus merupakan hal yang penting." Safdar menambahkan - "Kami menjunjung tinggi kerjasama dengan BCA karena hal ini menggarisbawahi komitmen kami yang berkelanjutan untuk menciptakan solusi pembayaran baru yang menghubungkan para pemegang kartu dengan pengalaman pembayaran yang lebih mulus dan aman ketika melakukan transaksi elektronik. Dengan berbagai manfaat dan keistimewaan seperti halnya para pemegang kartu global, Paspor BCA MasterCard menghubungkan pemegang kartu dengan pengalaman lebih kaya dan tak ternilai dimanapun mereka menggunakan kartu MasterCard baik di dalam maupun luar negeri." 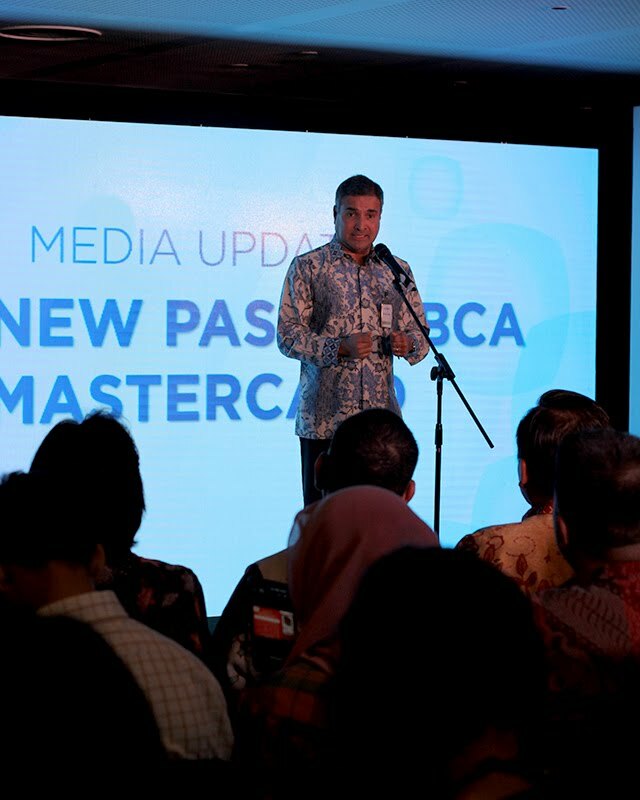 Kartu Paspor BCA MasterCard saat ini sudah tersedia di seluruh kantor cabang BCA. Di informasikan juga bahwa dengan adanya Kartu Paspor BCA MasterCard ini, nasabah dapat menikmati berbagai penawaran spesial dan promo menarik dari BCA dan MasterCard baik di dalam negeri maupun luar negeri. 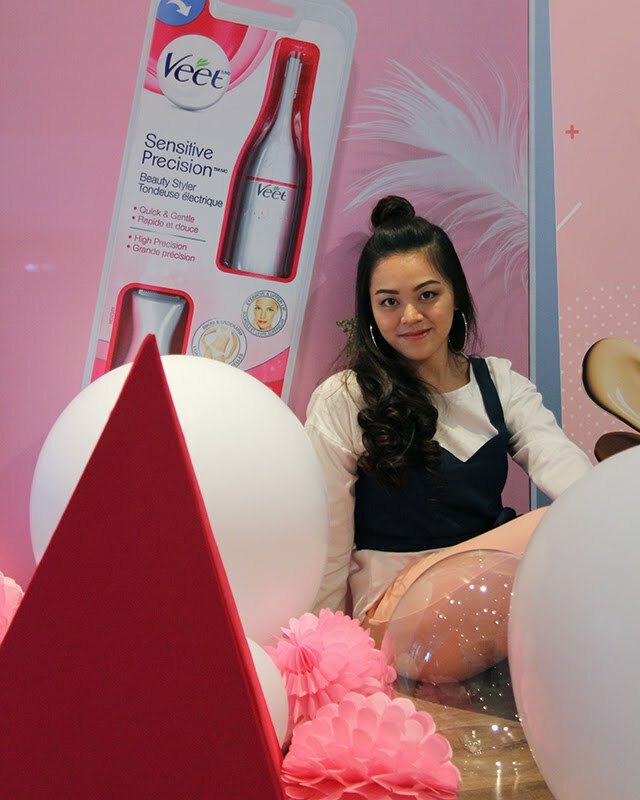 On the past Saturday, exactly on October 28th 2017 - I attended the event "Girls, Lets Rock The World" with Mizzu Cosmetics and Beauty Journal at Como Park Kemang. 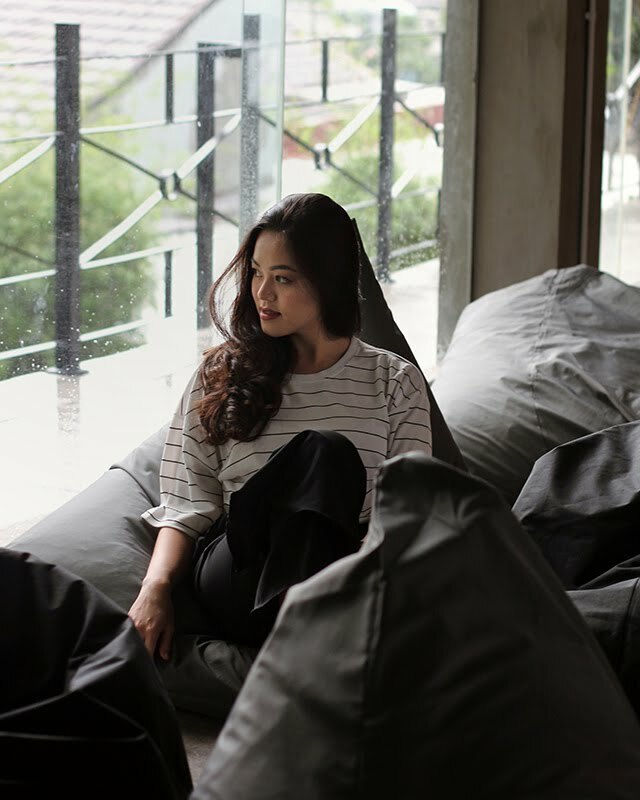 This event gathered bloggers/vloggers to join the hype and wore monochrome outfit. 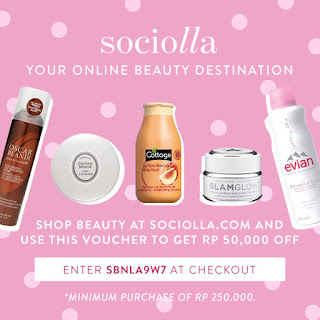 That was kinda rare for us to wear monochrome outfit to a beauty event, so I'm really excited! 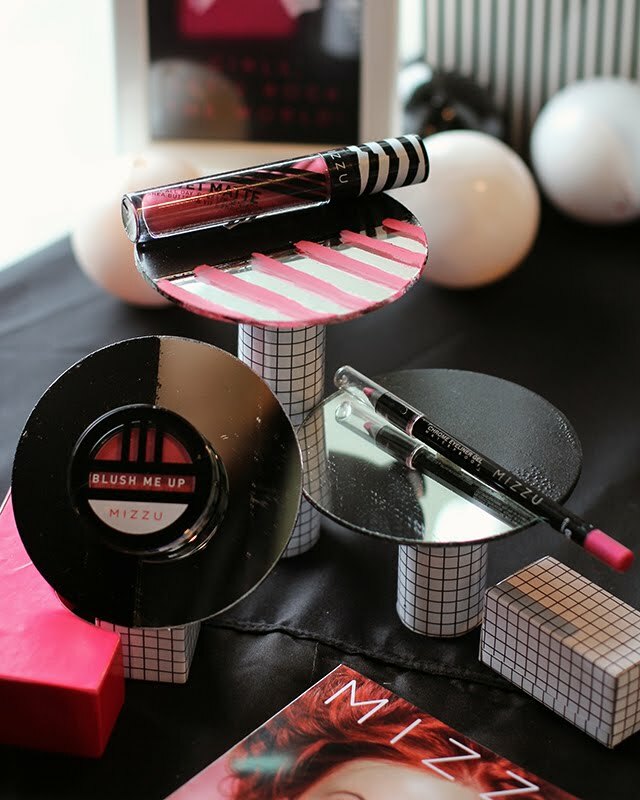 Even though it was heavily raining on that day, but of course we were still delighted to play with Mizzu Cosmetics products. 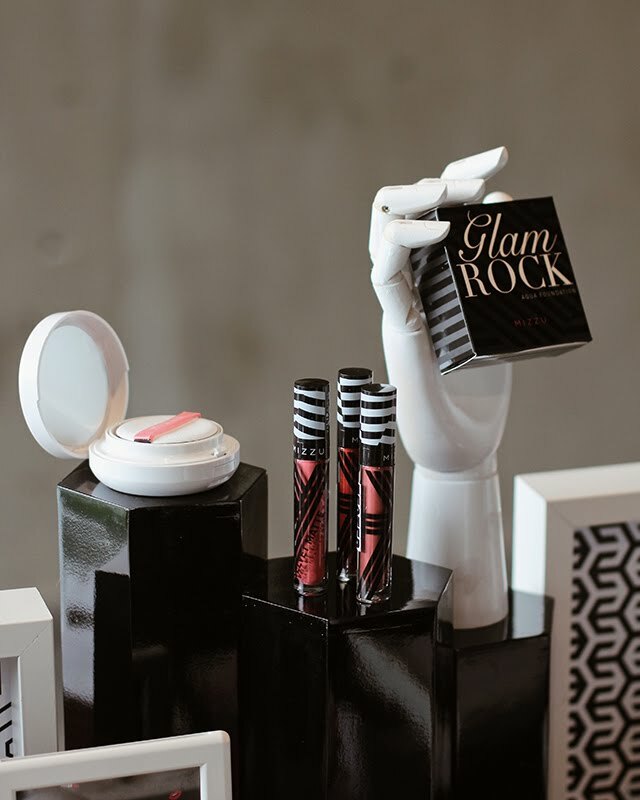 Personally, I haven't tried any of Mizzu Cosmetic products, but I have heard so many positive reviews about it, especially their eyeliner. 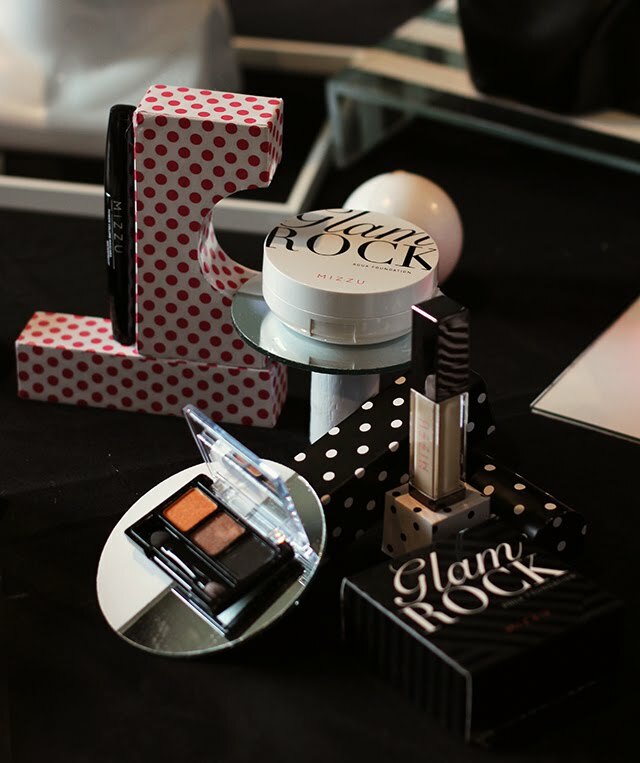 I also got a chance to try their eyeshadow, blush on, lip cream.. And their newly launched product which is 'Glam Rock' Cushion! 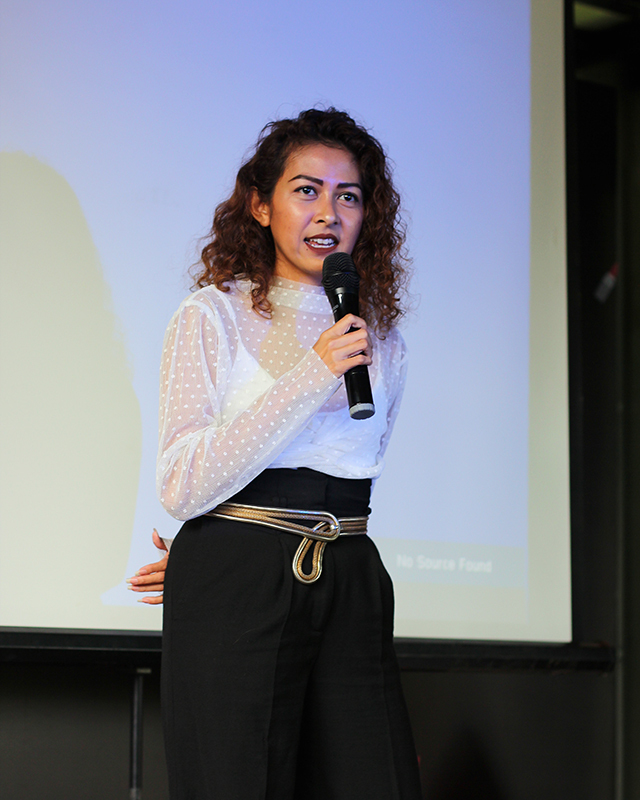 The event began with a warm greetings from Mira Monika, as Editor in Chief of Beauty Journal. In that chance also she asked us together watch the exclusive preview of Mizzu short movie 'Complete' (that will be up on Youtube roughly on this November 16th 2017). After the short movie ended, here are the guest stars; Billy Simpson as the soundtrack's singer; and the main casts, Rangga Azof and Erinda Azzqy. 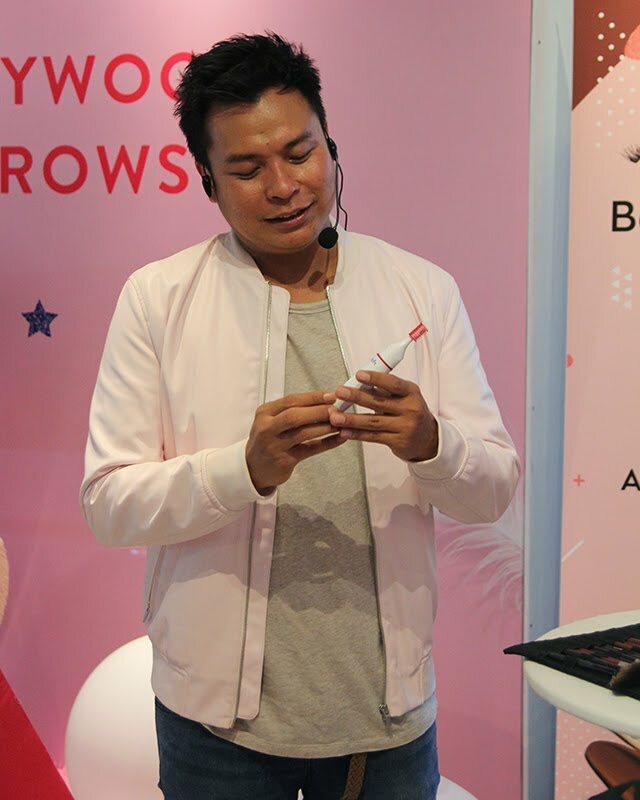 Billy Simpson, as one of the talented singer in Indonesia, said this is his first time to collaborate with the beauty brand. Billy's song called 'Sendiri' totally relate to the Mizzu's Short Movie 'Complete', as this song is specially written by himself and based on his own experience, telling about a man who was left by his girlfriend. 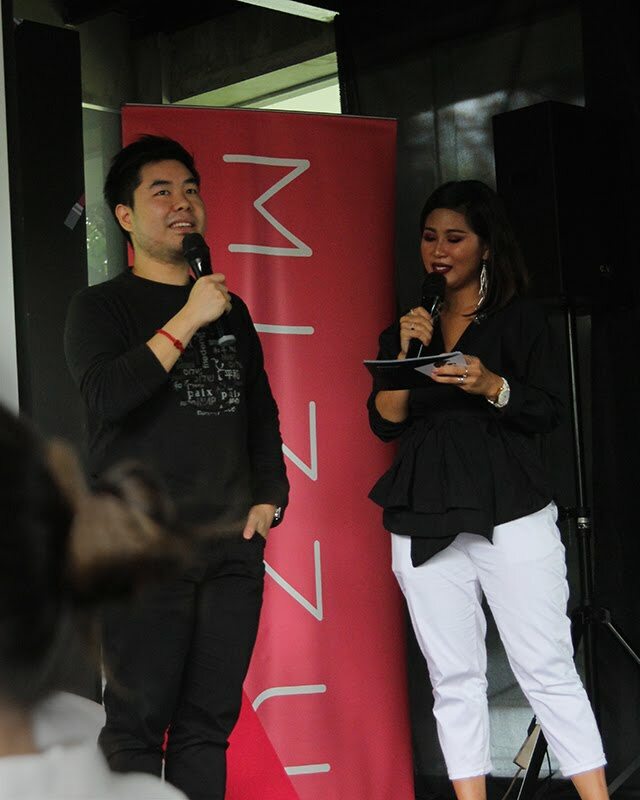 Rangga Azof and Erinda Azzqy shared their experience and thoughts on Mizzu's Short Movie 'Complete'. 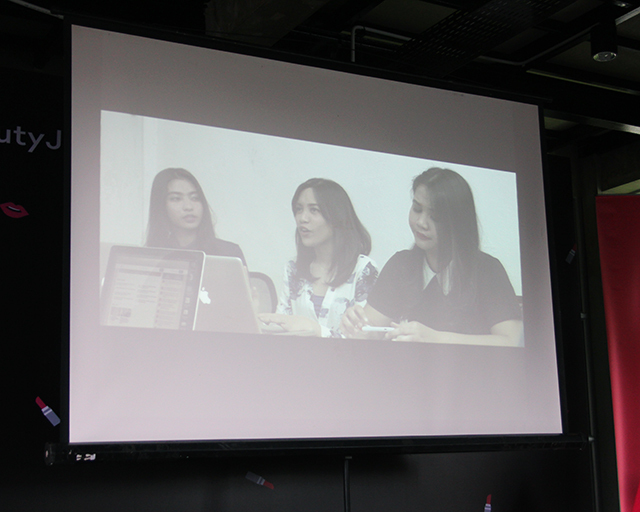 They said, the story itself is interesting and related to current issue in social media and beauty industry. Beside that, they also had a really good times when making the movie, due to the professional equipments provided and fun people in the team. After that, moving on the next session with Mizzu's beauty expert Barbie. 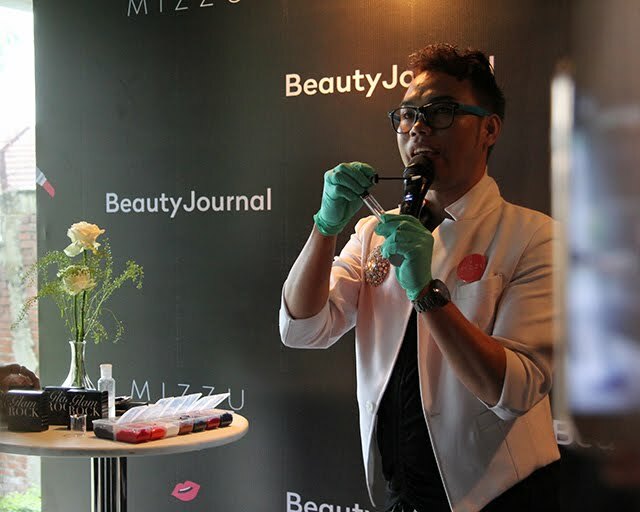 He did a lipstick making demo, on how to mix and get the right colour. Then, he also challenged us to create a lipstick with similar colour as the model's lipstick colour. Not only that, there were another challenge too, its eye makeup challenge. In a line, our group have to do the eye makeup for each members behind us. Even though my group didn't win any of the challenges, but we had so much fun! Last but not least, the event come to an end.. What a long and fun day weekend. Also I brought home a goodie bag filled with so many products of Mizzu Cosmetics, including Micellar Water, Eyeliner, Brow Pencils, Lip Creams and Lashes. I can't wait to try them all, and will review them soon! 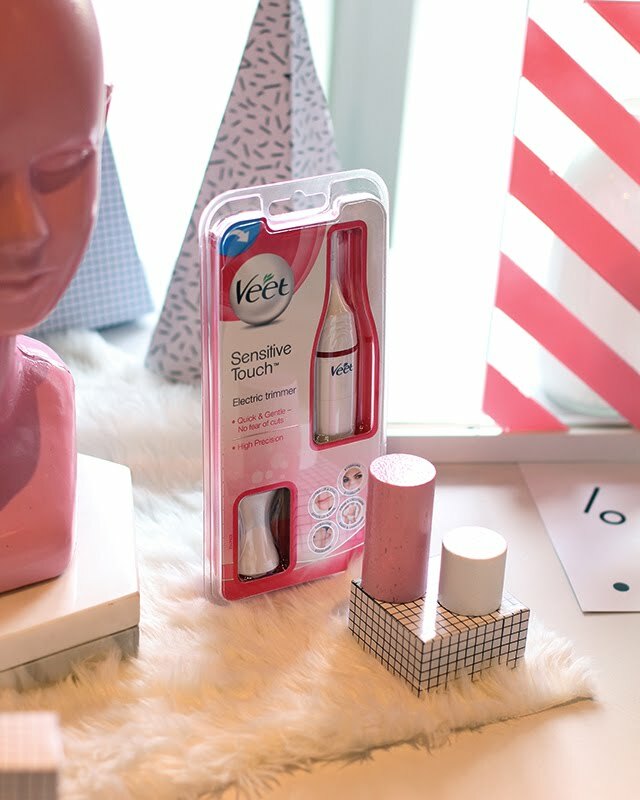 If you have read my previous review about Veet Sensitive Touch Electric Trimmer, you must have known that I'm a big fan of this beauty device! 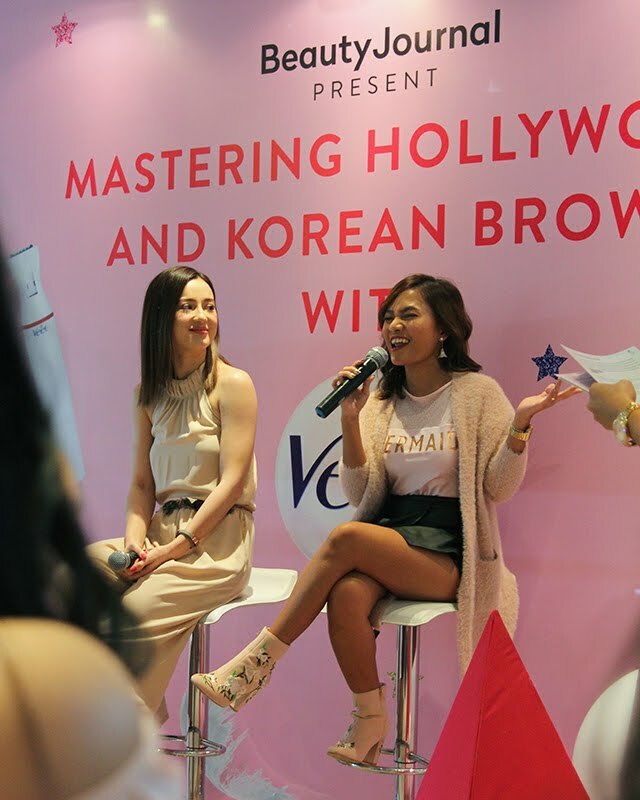 And so I'm really excited to attend beauty talkshow: 'Mastering Korean and Hollywood Brows with Veet and Beauty Journal'. 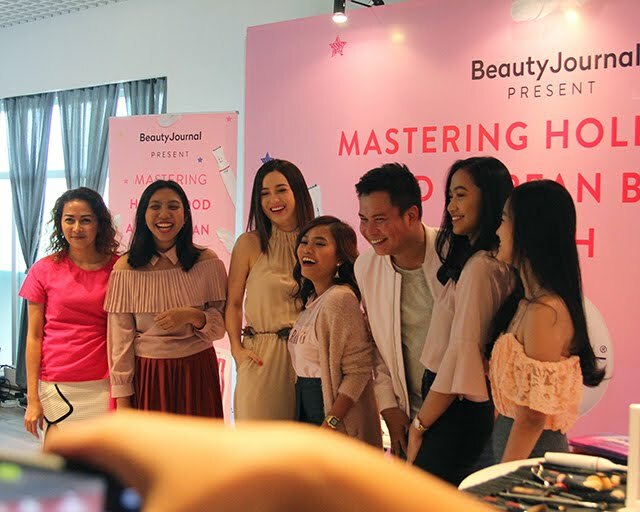 This event gathered beauty bloggers and special guests; Julie Estelle (Veet Brand Ambassador), Rachel Goddard (beauty influencer) and Ryan Ogilvy (MUA). 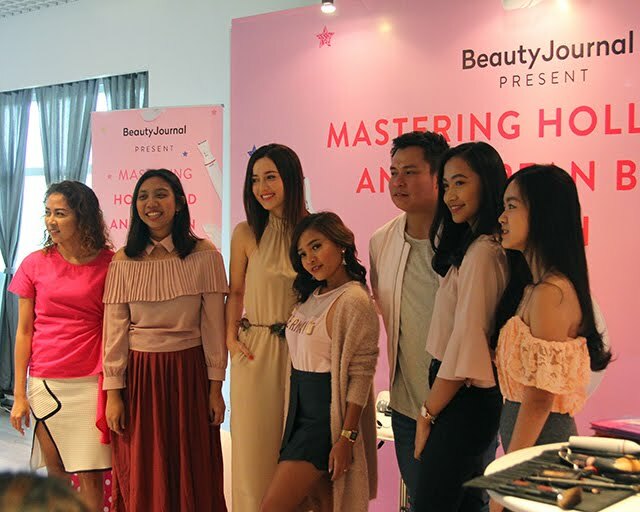 The event began with Julie Estelle and Rachel Goddard shared their personal experience on how to achieve their perfect brows. Long before they found out Veet Sensitive Touch Electric Trimmer, they used to do brow waxing or threading, and that was obviously painful and also took some time to get the brows done. 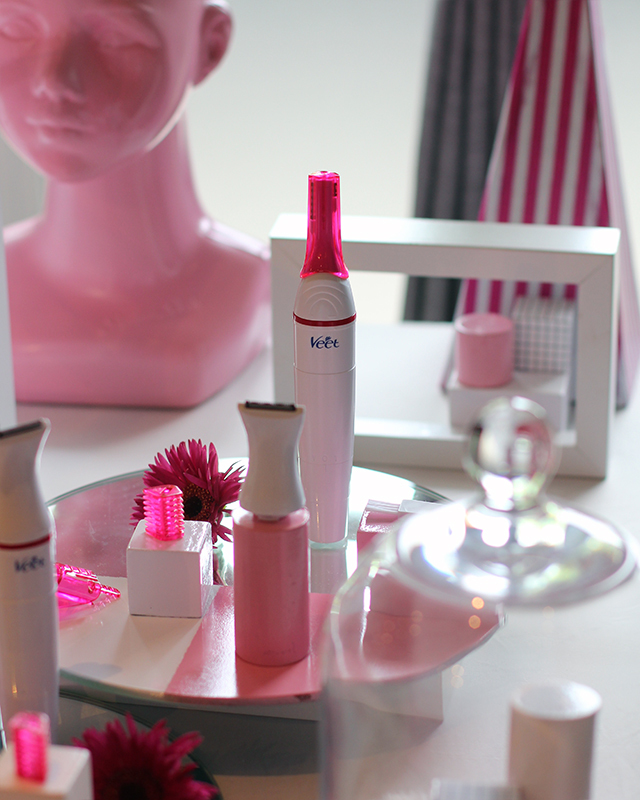 But now, they were revealing their new favorite beauty device to shape and trim the eyebrows, that is one and only Veet Sensitive Touch Electric Trimmer. 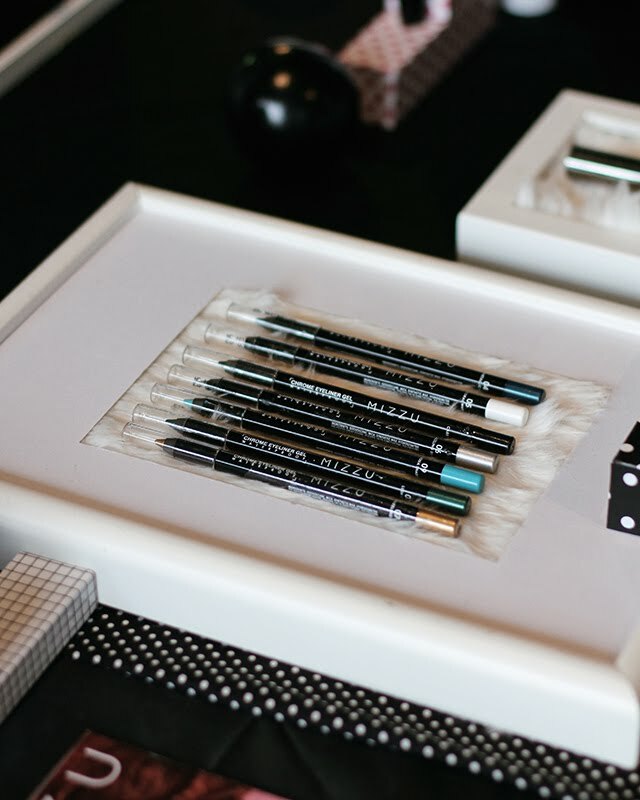 In terms of achieving the perfect brows, we must have known which eyebrow shape suits us well? 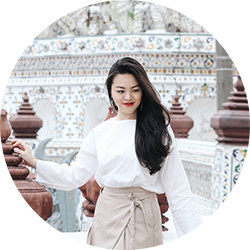 As for Julie, she loves a natural brow which closer to Korean Brows. On the other hands, Rachel loves to rock her makeup with Hollywood Brows. 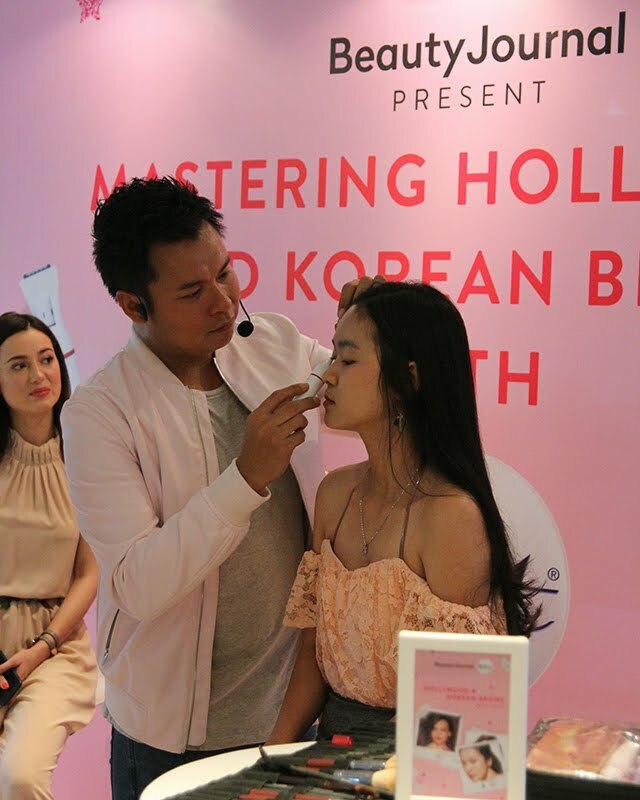 So in this occasion, Ryan Ogilvy as one of the professional Make-up Artist, did a makeup demo on 'how to create: Korean and Hollywood Brows by using Veet Sensitive Touch Electric Trimmer'. Ryan began with the Korean Brow demo on model. For the Korean Brow, he just simply cleared up the brows and make a signature 'Korean' straight brows with Sensitive Touch Electric Trimmer. Then, he filled up the brows by using eyebrow pencil to create a soft and natural look. Meanwhile, for the Hollywood Brows, Ryan also cleared up the brows by using Sensitive Touch Electric Trimmer to precisely make an arch, then he filled the brows by using eyebrow pencil to create a bold and dramatic look. While doing the demo, Ryan also shared his personal experience with Sensitive Touch Electric Trimmer. He didn't use it for his brows though, but he used it to trim his beard! So this Sensitive Touch Electric Trimmer is very effective to be used for both man and women - for not only the face area but also the other sensitive area like underarms and bikini line too. 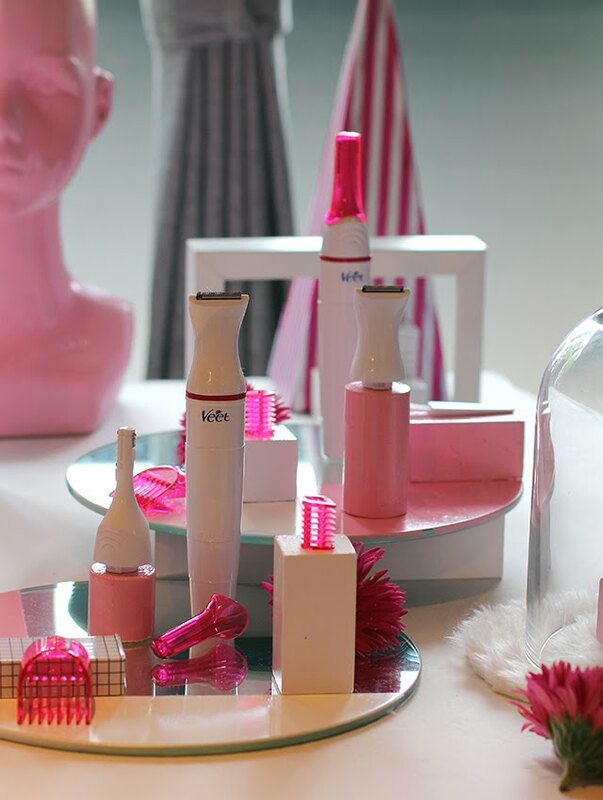 The event came to an end with the announcement of 'The Best Instagram Post' winner, then of course all the beauty bloggers brought home this Sensitive Touch Electric Trimmer which we were obsessed with.